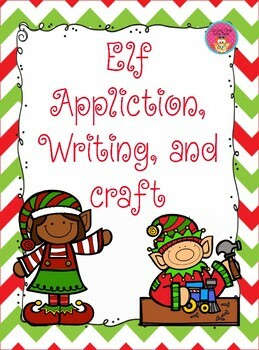 This product is Elf-erific for December to get your students excited for the holidays! It is fun, motivating, and engaging for all your learners. 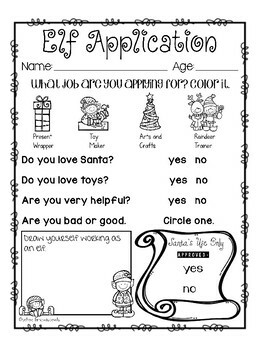 Students will love filling out their Elf Application, and IDs. They will also enjoy the writing prompts. Continue reading to see what is included. -3 Levels of Writing a Letter to Santa-In the first letter, students trace the words and also fill in their name, the words, I, Can I, and what they want for Christmas. 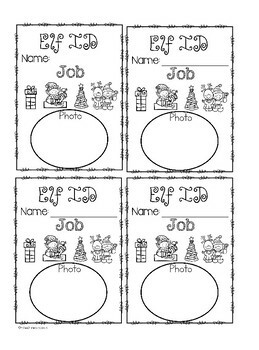 For the second version, students trace the words and fill in what they want for Christmas. The last letter is open ended. -Students write about the skills they have for the job they are applying for. -Students write about how they traveled to the North Pole. -Students write about their job working in Santa’s workshop and how they like it. -Students draw and write about what they feed reindeer. -Students draw and write about the toys they make in Santa’s workshop. -Students draw and write about how they will fix Santa’s sleigh. 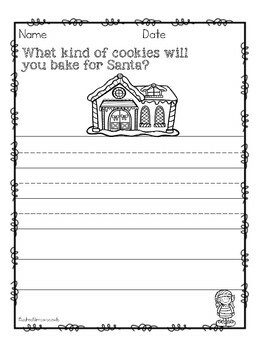 -Students write about the kinds of cookies they will bake for Santa. -Students write about how to decorate for the holidays.